Language Translator English To French: What Can A Translator Do? Language translator English to French is not something that everyone will need, but for many it is an essential service. 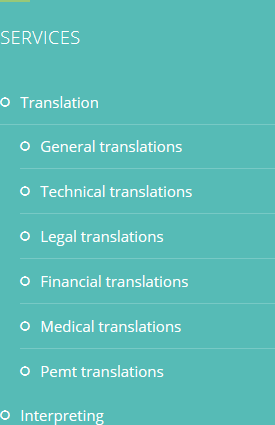 There are many reasons why translation experts might be called upon to look at a particular document. It is therefore important to know when you might require one. A language translator is someone who can take a document in one language and make sense of it in another. 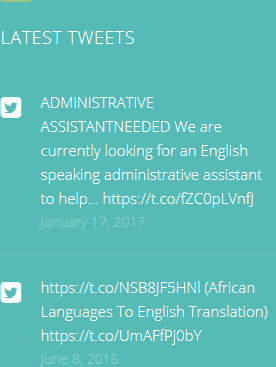 They need to have a precise combination of both writing skill and linguistic talent to ensure that the end result is correct. It is not simply a case of being able to read and write an additional language; this is why there are special people who can translate English to French. Not everyone is able to do it. A skilled translator must understand concepts as well as words, which is why experience is often something that you should look for when hiring a translator. Inexperienced translators might attempt to translate each word literally, and this can result in losing the meaning behind the text. A good translator will be able to communicate the writer’s original intent. Some people might be able to choose the right word technically, but a different word might be better, even if it is not a literal translation. Speaking to your translator before they begin work on your project will help them to get an idea of the result you are looking for. It does depend on what the document is going to be used for at the end. 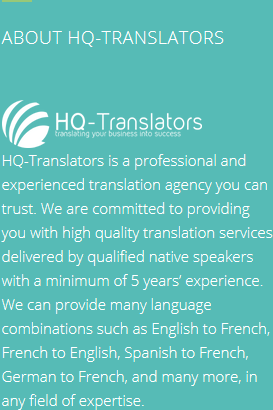 If you need a professional, experienced language translator English to French, then get in touch with us at HQ-Translators, https://hq-translators.com. We have a wide range of knowledge when it comes to translation services. Contact us by phoning (00 237) 242 71 38 38, or (00 237) 693 21 69 27, or by emailing infos@hq-translators.com.